Commentary and Opinion of news, trends, and even politics related to Winston-Salem. The items here are solely the responsibility of the author and BITS takes no responsibility for them however BITS may at its own discretion remove any item or post BITS deems not worthy of publication. 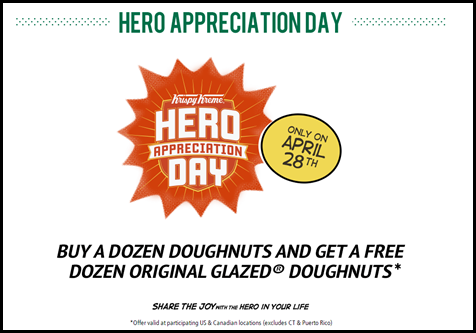 It’s HERO Appreciation Day at Krispy Kreme on April 28th so with the purchase of a dozen doughnuts you get a FREE Dozen Glazed. 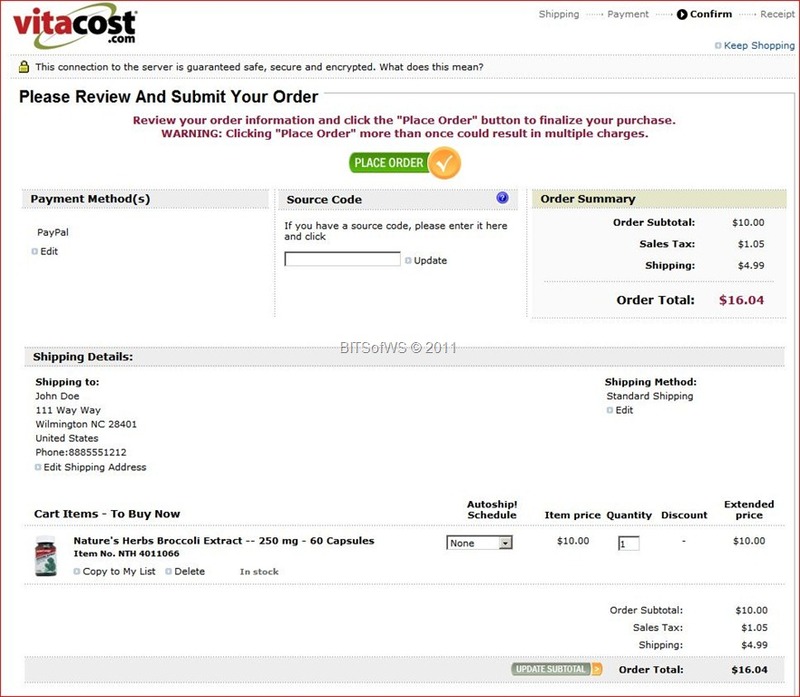 Vitacost Charging Erroneous Sales Tax Rates? Vitacost.com out of Boca Raton, Florida but with an distribution warehouse here in Lexington, North Carolina seems to not have a very accurate sales tax calculator. In fact it appears that it is so bad that they are routinely charging upwards of 10.9% Sales Tax for items shipped to Charlotte and over 10% for other various North Carolina zip codes. In reviewing a purchase I made with Vitacost I noticed the sales tax rate did not seem to add up and in doing the math I came up with a charge of just over 9%. I then pulled up older orders and found the sales tax rate charged had been incorrect on orders dating back for a year. I emailed the company about the errors and was told that yes they agreed the wrong rate had been charged and if I would provide background information on the orders they would take care of it. I did exactly that but I also stated I was not satisfied with the answer as it appeared this was not a single occurrence and that it looked like the company was charging the incorrect sales tax rates for all North Carolina residents. Needless to say I got no response and didn’t pursue the matter as we were talking about $3-4 so it really wasn’t worth my time. With several months of no response I decided to check their website again and not only were the sales tax rates incorrect but they had gone up to 10.2%! I again emailed the company stating I had pulled the computed sales tax rates for multiple counties in North Carolina and had found not only have they not refunded any money to me but continue to charge an incorrect sales tax rate, of course again I got no response. So this time I decided to waste a little time and pull some information together for future reference and since I had that info I might as well post it here as well. 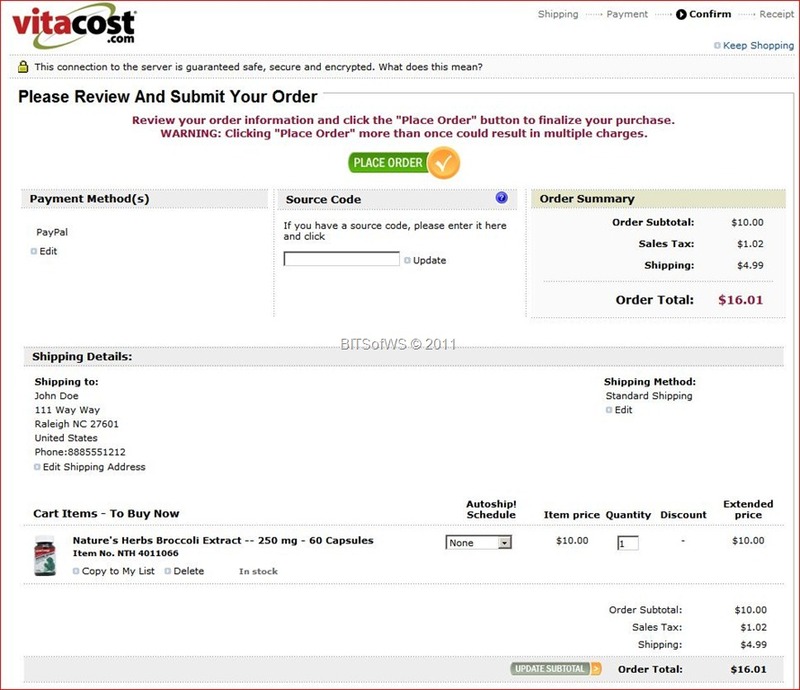 Using zip codes pulled from Areaconnect.com and Sales Tax Rates from Zip2Tax.com I attempted to checkout using an address based in each of the following zip codes and found the corresponding tax rates being charged by Vitacost.com on a $10 item. To show I am not just making this up below you will find the checkout form for each of the above zip codes. Does this look like a “math” error to you?